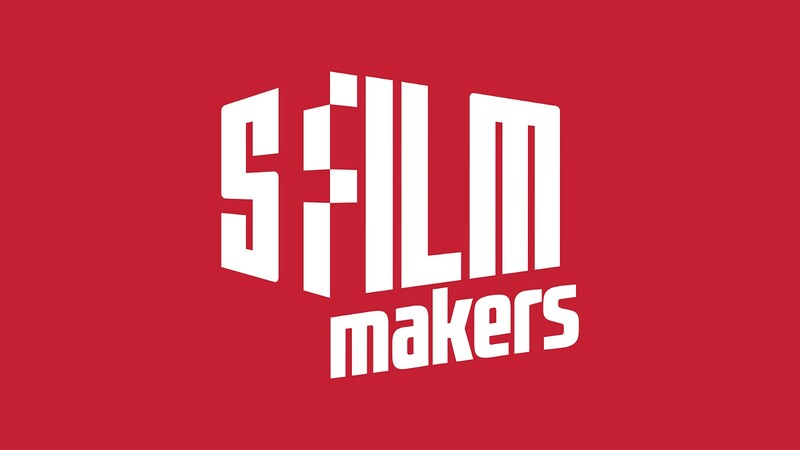 SFFILM and the Westridge Foundation have announced the finalists for the Spring 2019 SFFILM Westridge Grant, the newest narrative program offered by SFFILM Makers. The winning projects from this group of finalists will be announced in May. The SFFILM Westridge program is designed specifically to support the screenwriting and development phases of narrative feature projects whose stories focus on the significant social issues and questions of our time. Providing support at these critical early stages protects filmmakers’ creative processes, and allows them to concentrate on properly crafting their stories and building the right strategy and infrastructure to guide them through financing and production. The SFFILM Westridge Grant is open to US-based filmmakers whose stories take place primarily in the United States. The application period for the Fall 2019 round opens in late May, with a final deadline in late July. Find out more at sffilm.org/makers. In addition to the cash grants, recipients receive various benefits through SFFILM’s comprehensive and dynamic artist development program, as well as support and feedback from SFFILM and Westridge Foundation staff. Estranged college friends gather in an isolated mansion to introduce their babies and reconnect after a year apart. Amidst veiled pleasantries and slow-burning threats, terrible secrets surface that put their friendships and their children at risk. Omar, a young black man, is recruited into an undercover society of Magical Negroes who secretly conjure literal magic to make white people’s lives easier. Although initially enamored with his new powers, once he realizes they are using supernatural means to do the very thing he’s felt obligated to do his whole life, he attempts to buck the system and put his own dreams first. Clay Stuart, a wealthy Black grad-school-dropout-turned-aspiring-public-intellectual, spends his days researching the origins of “The Hintahood Fresh Age,” a revolutionary cultural movement that took place in the notorious neighborhood of his mother’s birth. But when his sole resource is destroyed, he must venture back to its source, uncovering a history far more mystifying and personal than he ever imagined. Homeless and living on the streets of New Orleans, Trey hangs on a promise that his estranged, graffiti-writer brother, Marcus, will come to claim him. After Trey learns of Marcus’s passing on the website Squat the Planet, he meets Luke, a train hopping crust punk who he has seen in a pictures with his brother, an apparent friend. With nothing to lose and the possibility of retracing Marcus’s impossible paths, Trey joins Luke and his family of runaways, artists, and activists on illegal train rides that take him deep into a world off the grid. Leela is the only child of an unorthodox comp lit professor and a poet in the throes of writer's block. She's 17, Indian, and a recent transplant to the ranch country of the Columbia River Gorge. It's the summer before college and she falls in with a group of Ukrainian teenagers. As her parent’s marriage slowly dissolves, she's caught up in a world of guns, religion, and mounting acts of petty violence. Set in Brownsville, Texas, during the child migration crisis, El Otro Lado (The Other Side) centers on Lucy, a low-income Mexican American teen, who is forced to confront her own need for escape when her father decides to sponsor two undocumented minors for money. An ambitious young journalist goes undercover to expose a provocative online therapist and libertarian “thought leader,” only to find herself trapped in the increasingly dangerous web of his family and followers. In the American Rust Belt, two young boxers — one Arab-American and one African-American — train for their first professional bout. As their lives collide in a makeshift ring in a church rec hall in Ohio, the fight takes a fateful turn that alters the lives of both men, their families, and their communities. Nina is a ten-year old Dominican American girl who believes she can perform miracles after resurrecting an albino deer. She discovers that what sets her apart may be more of a blessing than a curse in this magical realism coming-of-age story. In this gay phantasmagoric coming-of-age story set in 1989 amidst a looming hurricane in the Southern Gulf, Violet, a Cuban American teen, struggles with her sexuality, as her uncle, a famous designer, is rapidly deteriorating—mind and body—from the AIDS virus. Before his death he leaves Violet a grim message about the world that will change her destiny. In Hatterville, a whimsical town where it rains all year, residents forcefully focus on positivity and use bright umbrellas to forget the grayness of their existence. When gifted teenage artist Sea Wade wins the honorable challenge to design Hatterville’s newest umbrella, she suddenly loses her ability to see color, making it seemingly impossible to complete her task. Through the eyes of Sea, Sunshowers tackles mental health issues in a surreal, colorful setting.